Coins 210 Cn. Domitius Ahenobarbus, L. Licinius Crassus, L. Porcius Licinius. 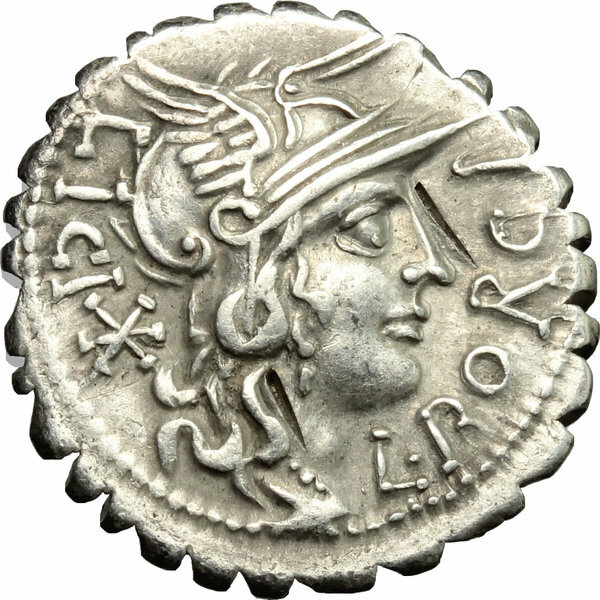 AR Denarius serratus, Narbo mint, 118 BC. D/ Head of Roma right, helmeted. 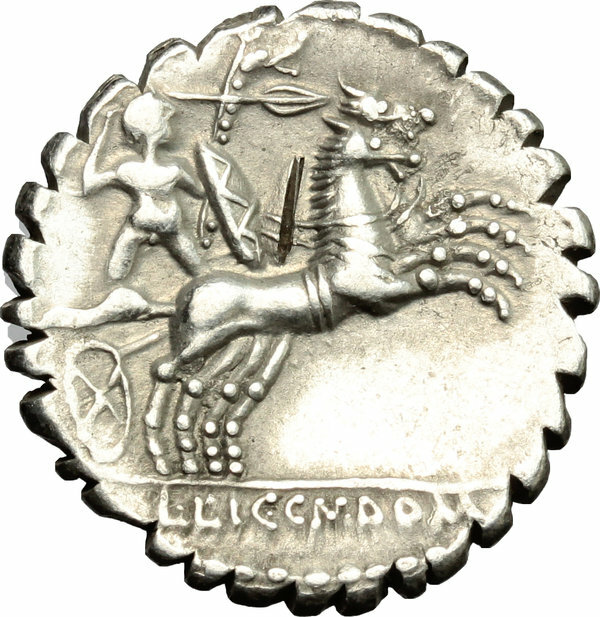 R/ Gaulish warrior in biga right; holding shield, carnyx and reins; hurling spear. Cr. 282/5. AR. g. 3.93 mm. 19.00 About EF.